We help when it hurts. Researching ways to make Children's memories for pain and Pain Experiences more positive. Pain is an inevitable part of childhood but we can help when it hurts. At Alberta Children's Pain Research Lab, we study how children's and parents' thoughts, feelings, and behaviours shape pain experiences over time. We work closely with an interdisciplinary team of clinicians and scientists in Calgary and around the world who are committed to understanding why pain becomes a problem for some children but not others. We look for ways to improve children's pain management and also learn from, and help, the families that pain touches. We focus our research on factors that we can directly change in psychological interventions. These factors include pain memories, attention, sleep, and how parents and children talk to each other following painful events. We believe that treatments for child pain can be improved and pain can even be prevented from becoming a problem in the first place. We also know that children do not suffer pain alone. Our research studies all include parents and seek to understand how parents' own thoughts and behaviours interact with those of their children to shape pain experiences. We believe that parents are the most powerful and effective intervention agents in their children's pain management. Changing the way that parents think, remember, feel, and respond to their child's pain can dramatically improve how their children experience pain. 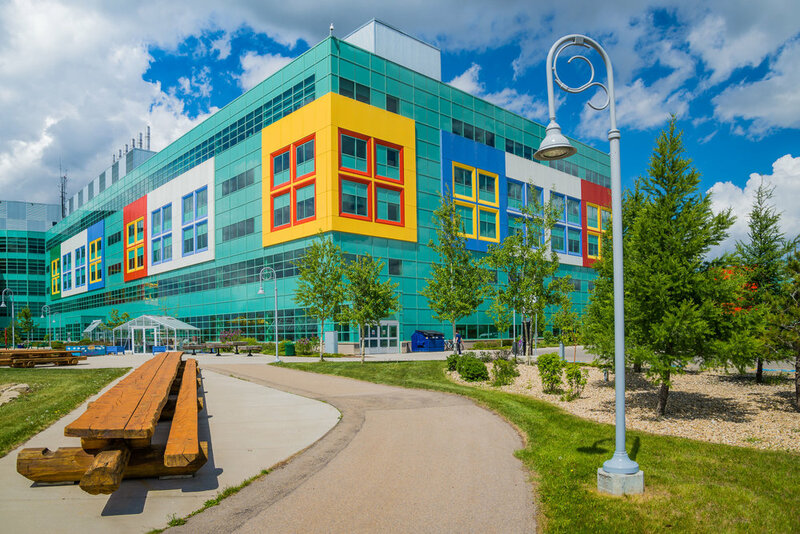 We conduct our research within a dynamic, interdisciplinary clinical setting at the Vi Riddell Pain Program at the Alberta Children's Hospital and the University of Calgary in Calgary Alberta, in the foothills of the awe-inspiring Canadian Rocky Mountains. Our lab is committed to enhancing and supporting diversity, equity and inclusion. We welcome diverse applicants from a variety of backgrounds including age, disability, ethnicity, gender, gender identity, size, language, national origin, race, religion, culture, pregnancy, marital status, sexual orientation, and socioeconomic status. We strive to demonstrate this commitment in our academic work, clinical training, and research. Dr. Melanie Noel is an Associate Professor of Psychology at the University of Calgary and a full member of the Alberta Children's Hospital Research Institute and the Hotchkiss Brain Institute. She teaches and supervises within the CPA-accredited Clinical Psychology Graduate Program in the Department of Psychology at the University of Calgary. Her behavioural research lab is based within the Vi Riddell Children's Pain and Rehabilitation Centre at Alberta Children's Hospital. After completing an MSc in Experimental Developmental (Child) Psychology at Memorial University of Newfoundland, Dr. Noel completed a PhD in Clinical Psychology at Dalhousie University under the mentorship of Dr. Christine Chambers in the area of acute pain. She completed her pre-doctoral residency in clinical psychology (child track) at the University of Washington School of Medicine and Seattle Children's Hospital. Following residency, she completed a post-doctoral fellowship in pediatric (chronic) pain research under the mentorship of Tonya Palermo, PhD in Seattle, Washington. Dr. Noel's research expertise is in the area of children's anxiety and pain memories as cognitive-affective mechanisms underlying trajectories of pediatric pain. The overarching aim of her research is to understand and harness the influence of cognitive-behavioral factors, like pain memories, on children’s pain trajectories using developmental frameworks. Her interests cover the areas of acute (e.g., painful medical procedures, experimental pain in the lab) and chronic (i.e., pain lasting for at least 3 months) pain in a variety of clinical and healthy populations (e.g., vaccination, venipunctures, surgery, chronic pain, emergency care). Her clinical interests include child clinical and pediatric psychology populations, with particular interest in the intersection between children's physical and mental health. When she isn't at her lab at Alberta Children's Hospital, Dr. Noel is at her "lab" at home: She is the proud mother of 3 young children. Allison is a native Calgarian, and received her BSc in Kinesiology from the University of Calgary. It was through a biomedical engineering summer research experience at the U of C that sparked her interest in research and human health. Following graduation, she moved to Vancouver to complete her Master’s in Public Health at UBC, with a research practicum on pain catastrophizing and quality-of-life in women with endometriosis. Although Allison’s research experiences and interests are quite diverse, she strives to apply her research findings through a population health lens. She is excited to learn more about the multi-disciplinary field of pediatric pain. Outside of the office, Allison enjoys trivia nights, yoga, photography, travelling, and catching up on the latest TV series or movies. Tatiana grew up in Calgary, and graduated with a BA (First Class Honours) in Psychology from the University of Calgary with a minor in French. Her honours thesis explored cognitive development in early school-aged children, by examining effects of motor and emotion information in children’s language processing. Tatiana remains interested in cognitive and emotional factors involved in children’s development through interactions with their environments. She is particularly interested in studying these factors within the context of pediatric pain. Tatiana’s research interests include how factors in children's environments (e.g., parent-child interaction, socio-linguistic, health contexts) contribute to their social and emotional development and wellbeing. Tatiana intends on pursuing clinical psychology, and is passionate about pediatric psychology and investigating ways to promote children’s physical and mental health. Outside of the lab, Tatiana enjoys spending time in nature, with family and friends, her adorable dog, singing, and travelling. Madison grew up in Calgary and received her BSc in Life Sciences from Queen’s University. During her undergrad, Madison was involved in a research study examining psychophysiological responses across the menstrual cycle. This experience stimulated her interest in sexual and reproductive health, specifically in sexual dysfunctions involving pain. In the future, Madison hopes to pursue these interests in medicine, but is very excited to be a part of the ABC Pain Research Lab and learn more about cognitive-behavioural aspects of pain. In her free time, Madison enjoys volunteering with hospital patients, spending time with family and friends, and snuggling with her cats. Nicole grew up in Ontario and received a BA in Psychology from the University of Guelph. During her time there she worked and volunteered in four different research labs across three faculties to get as much exposure to different fields of research as she could. Then she moved in Saskatchewan to complete her MSc in Kinesiology with a focus in Sport and Exercise Psychology. Her thesis looked at women athletes’ emotional, cognitive, and behavioural responses to sport-related injury. Nicole worked in sport injury research for three years during which she returned to school to complete a post-graduate certificate in School and Counselling Psychology. She began the Master of Counselling program at the University of Calgary in 2018 and is excited to start developing her clinical skills. When she’s not studying, Nicole enjoys baking, yoga, paddle boarding, and running. She had a brief foray into marathons before deciding to limit her endurance activities to Netflix and school. Jill is from the southern most tip of Canada. From there, she earned a BA Hons in Psychology at York University, where her thesis explored the role of culture in maternal soothing and the expression of infant pain. The fact that she earned an honours degree while also working two jobs and three volunteer positions is just one example of Jill’s determination and drive. Her PhD at UBC examined the Impact of repeated invasive procedures during neonatal intensive care on brain microstructure, growth, neurodevelopment and behaviour in children born very preterm. The focus of Jill’s postdoctoral training is the neuroactivation patterns underlying the co-occurence of chronic pain and PTSD in youth. Her long-term goal is to support a program of research at the University of Calgary and Alberta Children's Hospital that translates research findings from the bench to bedside, in order to develop evidence-based interventions to manage acute and chronic pain in infants and children. Sabine’s interest in psychology was sparked by intro psychology classes she took while completing her BA in 2007. After working in communications for several years, Sabine returned to school and earned her BA in Psychology (First Class Honours) in 2014. In 2016 she successfully completed her MA in Clinical Psychology at the University of Regina and is now pursuing her doctorate at the University of Calgary. Sabine’s research has broadly focused on attentional biases, cognitive factors, and dispositional constructs underlying psychopathology. Her clinical experience working with individuals with chronic pain fuelled her interest in the complex interplay of bio-psycho-social factors and how they influence and maintain the experience of chronic pain. Her dissertation research focuses on the role of cognitive-affective mechanisms underlying the co-occurrence of chronic pain and anxiety disorders in youth. Originally from Northern Ontario, Karen received a Bachelor's Sciences degree in Physiotherapy from the University of Ottawa in 1992. Soon after, she was hired at the Children's Rehabilitation Centre in St. John's Newfoundland where she worked for 17 years until moving to Calgary. In Calgary, Karen developed a clinical research interest in pediatric pain and childhood disability. While working at Alberta Children's Hospital as a clinician, program coordinator, and manager, Karen completed a Masters degree in Rehabilitation Sciences from the University of British Columbia in 2009. Her thesis focused on the experiences of parents of young children (0-3 years) in role negotiation between themselves and their rehabilitation team in a family-centred care program. Karen began doctoral studies in January 2015 at Sherbrooke University, in Quebec, aiming to evaluate the effectiveness and efficiency (related to cost) of the intensive pain rehabilitation program for youth living with chronic pain that is ongoing at the Vi Riddell Pain Program at Alberta Children's Hospital. A passionate fan of gourmet cooking and entertaining for family and friends, Karen enjoys traveling to wine-country, trail running (to work off the food and wine), and spending time with her nieces in Calgary. Her (not so) secret dream is to learn to play the guitar and make jewelry. Alex grew up in and around Toronto and earned her BA in Psychology from the University of Guelph. After graduating, she spent four years as a psychosocial oncology researcher at Toronto’s Hospital for Sick Children where she investigated the impact of childhood cancer diagnosis on children and their families. Alex has particular interest in understanding the individual perspectives and experiences of children in order to help them cope with illness, painful procedures, and hospitalization through improved clinical care. When not researching ways to help kids feel better, Alex raises seizure response and autism guide dogs, volunteers for children affected by childhood cancer, runs, does yoga, travels, and treats socializing like a sport. Tessa is a native Calgarian, and received her BA in Psychology from the University of Southern California, minoring in Occupational Therapy. Soon after, she earned her MA in Psychology from Boston University and began working as a clinical research coordinator in the Pain Treatment Center at Boston Children's Hospital. During her time in Boston, Tessa organized and investigated a brief pain management program for adolescents with chronic pain and their parents. She also had the pleasure of organizing a combined cognitive behavioral and neuromuscular training program for teens with widespread chronic pain. It was through this experience that Tessa discovered her passion for pediatric psychology. She is fascinated by the biopsychosocial approach to pain management and is eager to conduct research that uses this model to enhance treatment approaches and quality of life for children and adolescents living with chronic pain. Tessa's other interests include cycling, cooking, slow-pitch, hiking in the Rockies, and traveling. Maria joined the lab all the way from Saint Petersburg Russia. On route, she studied Mandarin in Beijing, management in Edinburgh, and launched careers in London. She came to Calgary to pursue her childhood dream of becoming a Psychologist, and for pancake breakfasts with a mountain view. Maria is fascinated by the relationship between mind and body, psychopathology and physical health, and by therapeutic approaches that tackle that relationship. Photography, yoga, and literature take up her time when she’s not busy running the lab while also examining chronic pain in kids and its connection with mental health disorders as well as children's pain memories and how to change them. Originally from Victoria, Jaimie completed her BA (Hons) in Psychology at Dalhousie University in Halifax. After graduating, she worked for Dr. Christine Chambers in the Centre for Pediatric Pain Research before moving to Calgary to join the ABC Pain Research Lab. Jaimie is interested in the interrelationships between trauma, chronic pain, and mental health. She is particularly interested in how parent factors (such as parents’ own chronic pain status and history of trauma) impact children’s experience of chronic pain, trauma, and mental health disorders. After living the coastal life for 25 years, Jaimie is happy to be in sunny Calgary. When she is not studying or researching, Jaimie can probably be found cooking and/or eating delicious food, watching baseball, or fawning over pictures of her niece. Cara was born and raised in Calgary and will be going into her 5th year of her BA in Psychology at the University of Calgary. She will be starting her honours thesis in the fall in the ABC Pain Research Lab. Cara has wanted to work with and help children her entire life and is very interested in child psychology. She is particularly interested in how physical and environmental influences can affect children's psychosocial outcomes and also their brain development. After Cara graduates, she plans to pursue either graduate studies in psychology or medical school. Cara also completed 5 years as a varsity wrestler at the University of Calgary and continues to compete for the national team. Her ultimate goal is to make it on the Olympic team for Tokyo 2020. Deidra began her studies at the University of Alberta majoring in biological sciences. It wasn’t until she took some developmental and adolescent psychology courses that she realized her true love for the field. The experience of volunteering at schools, working at family clinics, and assisting children with disabilities, helped her conclude that she wanted to be a child psychologist in hopes of helping children work through the hardships they may face in life. During her third year, she moved back home to Calgary and transferred to the University of Calgary. Currently, she is exploring the wealth of options within the realm of child psychology in order to find out where her passions lay to narrow her research focus. When she’s not volunteering at the ABC Pain Research Lab, she enjoys her time by reading fantasy novels, cuddling with her little yorkie, and spending quality time with her friends and family. Sam was born in Calgary but grew up in a small town in New Brunswick. Currently, she in her second year at the University of Calgary, majoring in biomedical sciences. Although working with children has always been a dream of hers, Sam’s interest in psychology began after taking the class in high school, where she fell in love with the material. Her interest further developed while volunteering in paediatric hospitals in South America, where she volunteered in clinics and participated in outreach programs to schools in rural communities. After graduating, Sam plans to attend medical school to specialize in paediatrics. In her free time, Sam enjoys travelling the world, watching musicals, and walking dogs at the Calgary Pawsitive Match Rescue Foundation. 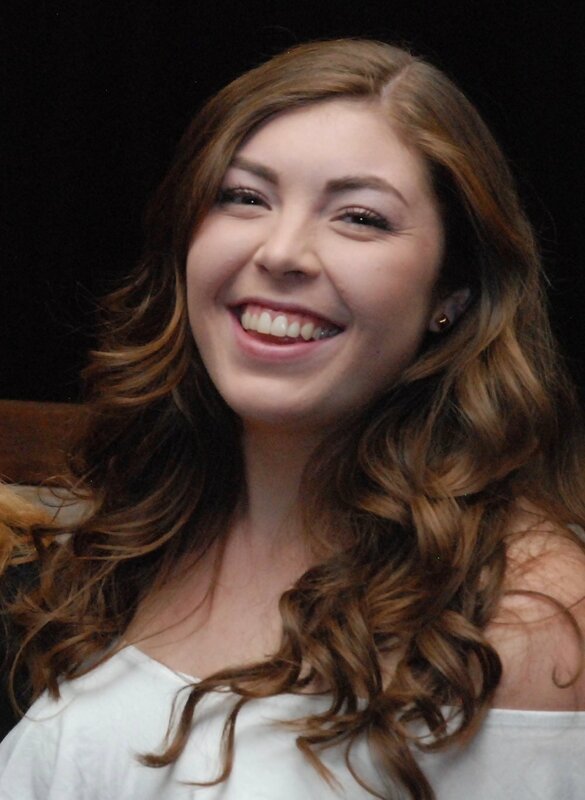 Kendra grew up in Nova Scotia and is currently in her fourth year studying Psychology at the University of Calgary. Through her experiences volunteering at crisis lines and hospitals, and working in childcare and as a research assistant, her interest in child psychology developed.Kendra has interests in mental health disorders in both children and adult populations, and as such, is very interested in pursuing research exploring parent-child interactions and family histories. She is fascinated by the developmental aspects of mental health, and how mental health disorders may develop and be impacted in later adulthood by early childhood relationships and traumatic events. Kendra looks forward to volunteering in the ABC pain lab to learn more about mental health disorders in the context of pain. Kendra hopes to continue working with the ABC lab for her Honours thesis for the upcoming year and looks forward to learning more about pediatric pain, and the influence it can have on both children and their families. She hopes to pursue a career in Clinical Psychology, and after gaining as much experience as possible after her Undergraduate studies, she hopes to pursue a Master’s Degree in Psychology. When she’s not volunteering, Kendra enjoys spending time with her friends and family, reading, running, Netflixing and baking. Merek grew up in Calgary and spent two years away from home playing hockey in Kelowna. He started at the University of Calgary majoring in biochemistry but switched to psychology, where he is now in his second year. After dealing with chronic pain in his childhood, the topics of how pain can influence both the child and the parent is an area of great interest to him. During this time he also had a first hand experience with how psychology and pain come together, sparking his interest in the field. He would like to continue to focus on the effects of pediatric pain as he moves through undergraduate studies, with goals of eventually becoming a clinical psychologist. In his free time, Merek enjoys watching movies, cooking, jiu-jitsu, reading books and spending time outdoors. This is what we're working on at alberta children's hospital. Our lab studies acute and chronic pain in children, and the transition in between. We aim to understand and harness the influence of cognitive-behavioral factors on children's pain trajectories using developmental frameworks. We are collaborating with Ear, Nose, and Throat clinic surgeons at Alberta Children’s Hospital to examine how children think about post-surgical pain and how they talk about it with their parents. This research project will be the first to examine the socio-linguistic context (i.e., parent-child narratives about pain) of pain memory development in young children undergoing tonsillectomies. The long-term goal is to design a parent-led memory reframing intervention aimed at promoting positive pain memory development by teaching mothers and fathers more adaptive styles of reminiscing with their children following painful events. This study builds on a strong foundation of empirical and theoretical work previously published by Dr. Noel. 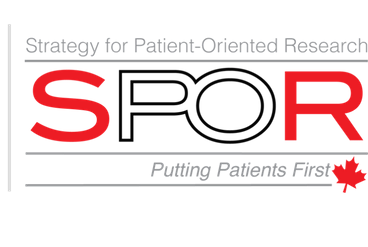 This research project has been funded by the 2016 American Pain Society Future Leaders in Pain Research Grant. Another line of this research examining differences in how mothers versus fathers talk to children about pain following surgery and its influence on pain memories is funded by the 2016 Society for Pediatric Psychology Targeted Research Grant. Chronic pain and PTSD and anxiety have been shown to co-occur at extremely high rates in adults. Our pilot data provides compelling evidence that this co-occurrence also exists in adolescence and is linked to greater impairment in functioning. We will use reliable clinician-administered interviews to determine the prevalence of internalizing mental health disorders in pediatric populations with and without chronic pain. Using a conceptual model of PTSD and pediatric chronic pain co-developed by Dr. Noel, we are using lab-based methods (e.g., eyegaze tracking, actigraphy, cold pressor task) to examine modifiable mechanisms (e.g., memory and attention biases, sleep disruption) underlying this co-morbidity over time. We will also investigate neural activation patterns underlying co-morbid PTSD and chronic pain using fMRI. Chronic pain tends to cluster within families: youth of parents who have chronic pain status are at higher risk of developing chronic pain. Parental mental health status also influences the onset and maintenance of pediatric chronic pain. Therefore, we recruit parents of youth with and without chronic pain to examine the role of parental pain status and mental health in pediatric chronic pain. This part of the research project has been funded by the Canadian Institutes of Health Research Strategy for Patient Oriented Research 'The Chronic Pain Network' and is conducted in collaboration with pediatric pain colleagues at SickKids and the IWK Health Center. This program-wide evaluation includes the majority of youth and parents seen in our chronic pain programs at Alberta Children’s Hospital. Youth and their parents complete an assessment battery at multiple time points for up to three years to assess pain, emotional, physical and behavioral functioning, and economic costs. A unique feature of this project is that it also doubles as clinical information since clinicians can review responses (for those patients who consent to this) and have it inform clinical care. The Vi Riddell Pain Program also hosts a one-of-a-kind Intensive Pain Rehabilitation Program (IPRP) for youth with chronic pain. As part of the program, patients and their parents complete a multi-wave assessment battery. In addition, prior to the start of the program and at discharge, participants are invited to undergo an MRI. The aim of this project is to assess neurobiological changes in youth following the IPRP and to identify neurobiological mechanisms underlying those changes. Stories form the fabric of our identities and set the stage for all future experiences. 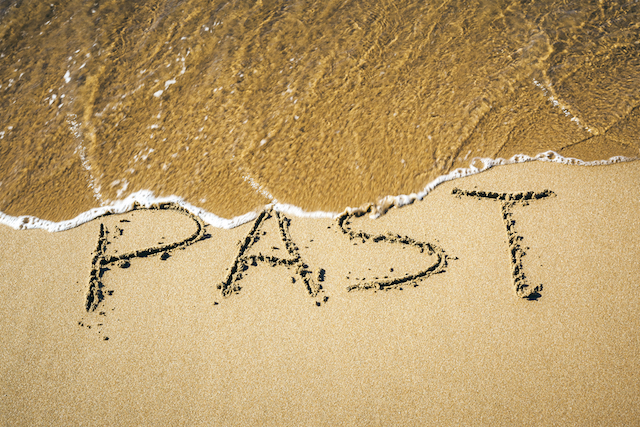 Parent-child reminiscing about past negative emotional events is an influential social transaction that is linked to a variety of social, emotional and developmental outcomes in childhood. In collaboration with Language and Cognitive Development Lab (PI: Dr. Susan Graham, University of Calgary), we are examining how parents and children talk about past events and how the narratives influence children’s social and emotional development. This project is integrally linked with the Pain Narratives and Memory Development Study and will lead to development of brief parent-led interventions for pediatric pain management. This research project has been funded by the Social Sciences and Humanities Research Council Insight Development Grant. Noel, M., Rosenbloom, B., *Pavlova, M., Campbell, F., Isaac, L., Pagé, M.G., Stinson, J., Katz, J. (accepted). Remembering the pain of surgery one year later: A longitudinal examination of anxiety in children’s pain memory development. PAIN. *Neville, A., Jordan, A., *Beveridge, J. K., Pincus, T., & Noel, M. (accepted). Diagnostic uncertainty in youth with chronic pain and their parents. Journal of Pain. Noel, M., *Pavlova, M., *Lund, T., Jordan, A., Chorney, J., Rasic, N., Brookes, J., Hoy, M., Yunker, W., & Graham, S. A. (accepted). The role of narrative in the development of children’s pain memories: Influences of father- and mother-child reminiscing on children’s recall of pain. PAIN. Aaron, R.V., Noel, M., Dudeney, J.E., Wilson, A.C., Holley, A.L., & Palermo, T.M. (2019). The role of sleep quality on the relationship between posttraumatic stress symptoms and pain in women. Journal of Behavioral Medicine. 1-10. Van Ryckeghem, D., Noel, M., Sharpe, L., Pincus, T., Van Damme, S. (in press). Cognitive biases in pain: An integrated functional-contextual framework. PAIN. *Pavlova, M., Graham, S. A., Jordan, A., Chorney, J., *Vinall, J., Rasic, N., Brookes, J., Hoy, M., Yunker, W., & Noel, M. (accepted). Socialization of pain memories: Parent-child reminiscing about past painful and sad events. Journal of Pediatric Psychology. Available at https://academic.oup.com/jpepsy/advance-article/doi/10.1093/jpepsy/jsz009/5371152. [ePub ahead of print]. Cordts, K.M., Stone, A.L., *Beveridge, J.K., Wilson, A.C., & Noel, M. (in press). The (parental) whole is greater than the sum of its parts: A multifactorial model of parent factors in pediatric chronic pain. Journal of Pain. *Fischer, S.D., *Vinall, J., *Pavlova, M., Graham, S., Jordan, A., Chorney, J., Rasic, N., Brookes, J., Hoy, M., Yunker, W.K., & Noel, M. (2019). The role of anxiety in young children’s pain memory development following surgery. PAIN. 160(4), 965-972. Christensen, J., Noel, M., & Mychasiuk, R. (2019). Neurobiological mechanisms underlying the sleep-pain relationship in adolescence: A review. Neuroscience and Biobehavioral Reviews. 96, 401-413. *Hurtubise, K. Brouselle, A., Noel, M., Camden, C. (2019). What really matters in pediatric chronic pain rehabilitation? Results of a multi-stakeholder nominal group technique study. Disability and Rehabilitation. 1-12. Birnie, K.A., Noel, M., Chambers, C.T., Uman, L.S., & Parker, J.A. (2018). Psychological interventions for needle-related procedural pain and distress in children and adolescents. Cochrane Database of Systematic Reviews. (10). Jordan, A., Noel, M., Caes, L., Connell, H., & Gauntlett-Gilbert, J. (2018). A developmental arrest? Interruption and identity in adolescent chronic pain. PAIN Reports. 3(7), e678. *Khu, M., *Soltani, S., *Neville, A., Schulte, F., & Noel, M. (2018). Posttraumatic stress and resilience in parents of youth with chronic pain. Children’s Health Care. Available at https://www.tandfonline.com/eprint/NjgZDKBgtX4nb8MzpBNY/full. [ePub ahead of print]. *Vinall, J., Noel, M., *Disher, T., Caddell, K., & Campbell-Yeo, M. (2018). Memories of infant pain in the neonatal intensive care unit influence posttraumatic stress symptoms in mothers of infants born preterm. The Clinical Journal of Pain. 34(10), 936-943. *Soltani, S., *Neville, A., *Hurtubise, K., Hildenbrand, A., & Noel, M. (2018). Finding silver linings: A preliminary examination of benefit finding in youth with chronic pain. Journal of Pediatric Psychology, 43(3), 285-293. Noel, M., Chambers, C.T., Parker, J.A., Aubrey, K., *Tutelman, P.R., Morrongiello, B., Moore, C., McGrath, P.J., Yanchar, N.L., & von Baeyer, C.L. (2018). Boo-boos as the building blocks of pain expression: An observational examination of parental responses to everyday pain in toddlers. Canadian Journal of Pain. 2(1), 74-86. Pincus, T., Noel, M., Jordan, A., & Serbic, D. (2018). Perceived diagnostic uncertainty in pediatric chronic pain. Pain, 159(7), 1198-1201. *Jones, K., Nordstokke, D., Wilcox, G., Schroeder, M., & Noel, M. (2018). The 'work of childhood': Understanding school functioning in youth with chronic pain. Pain Management, 8(2), 139-153. *Pavlova, M., & Noel, M. (2018). JPP Student Journal Club Commentary: Novel parent intervention reduces vaccine injection pain in toddlers: Potential mechanisms and path forward. Journal of Pediatric Psychology, 43(3), 234-236. *Kwan, V., Vo, M., Noel, M., & Yeates, K. (2018). A scoping review of pain in children after traumatic brain injury: Is there more than headache? Journal of Neurotrauma, 35(7), 877-888. *Neville, A., *Soltani, S., *Pavlova, M., & Noel, M. (2018). Unravelling the relationship between parent and child PTSD and pediatric chronic pain: The mediating role of pain catastrophizing. Journal of Pain. 19(2), 196-206. Noel, M., *Vinall, J., Tomfohr-Madsen, L., Holley, A. L., Wilson, A. C., & Palermo, T. M. (2018). Sleep mediates the association between PTSD symptoms and chronic pain in youth. Journal of Pain, 19(1), 67-75. Noel, M., McMurtry, C. M., *Pavlova, M., & Taddio A. (2018). Brief clinical report: A systematic review and meta-analysis of pain memory-reframing interventions for children's needle procedures. Pain Practice, 18(1), 123-129. *Pavlova, M., *Ference, J., Hancock, M., & Noel, M. (2017). Disentangling the sleep-pain relationship in pediatric chronic pain: The mediating role of internalizing mental health symptoms. Pain Research and Management. Available at https://doi.org/10.1155/2017/1586921. Noel, M., Rabbitts, J. A., Fales, J., Chorney, J., & Palermo, T M. (2017). The influence of pain memories on children's and adolescents' post-surgical pain experience: a longitudinal dyadic analysis. Health Psychology, 36(10), 987-995. *Durrand, H., Birnie, K. A., Noel, M., Vervoort, T., Goubert, L., & Boerner, K. E., Chambers, C. T., & Caes, L. (2017). State versus trait: Validating state assessment of child and parental catastrophic thinking about children's acute pain. Journal of Pain, 18(4), 385-395. *Kwan, V., Hagen, G., Noel, M., Dobson, K., & Yeates, K. (2017). Healthcare at your fingertips: The professional ethics of smartphone health-monitoring applications. Ethics and Behaviour, 27(8), 615-631. Noel, M., *Pavlova, M., *McCallum, L., & *Vinall, J. (2017). Remembering the hurt of childhood: A psychological review and call for future research. Canadian Psychology, 58(1), 58-68. *Vinall, J., *Pavlova, M., Asmundson, G. J. C., Rasic, N., & Noel, M. (2016). Mental health comorbidities in pediatric chronic pain: A narrative review of epidemiology, models, neurobiological mechanisms and treatment. Children, 3(4), 1-31. Holley, A. L., Wilson, A. C., Noel, M., & Palermo, T. M. (2016). Post-traumatic stress symptoms in children and adolescents with chronic pain: A topical review of the literature and a proposed framework for future research. European Journal of Pain, 20(9), 1371-1383. Jaaniste, T., Noel, M., & von Baeyer, C. L. (2016). Young children’s ability to report on past, future and hypothetical pain states: A cognitive-developmental perspective. PAIN, 157(11), 2399-2409. McMurtry C.M., Taddio A., Noel M., Antony M.M., Chambers C.T., Asmundson G.J.G., Pillai Riddell R., Shah V., MacDonald N.E., Rogers J., Bucci L.M., Mousmanis P., Lang E., Halperin S., Bowles S., Halpert C., Ipp M., Rieder M.J., Robson K., Uleryk E., Votta Bleeker E., Dubey V., Hanrahan A., Lockett D., Scott J. (2016). Exposure-based interventions for the management of individuals with high levels of needle fear across the lifespan: A clinical practice guideline and call for further research. Cognitive Behaviour Therapy. 45(3), 217-235. Noel, M., Groenewald, C.B., Beals-Erickson, S. E., *Gebert, J.T., & Palermo, T.M. (2016). Chronic pain in adolescence and internalizing mental health disorders: A nationally representative study. PAIN, 157(6), 1333-1338. Noel, M., Beals-Erickson, S.E., Law, E.F., *Alberts, N., & Palermo, T.M. (2016). Characterizing the pain narratives of parents of youth with chronic pain. Clinical Journal of Pain, 32(10), 849-858. Noel, M., Wilson, A.C., Holley, A.L., *Durkin, L., *Patton, M., & Palermo, T.M. (2016). Posttraumatic stress disorder symptoms in youth with vs without chronic pain. PAIN, 157(10), 2277-2284. Noel, M., *Alberts, N., Langer, S.L., Levy, R.L., Walker, L.S., & Palermo, T.M. (2016). The sensitivity to change and responsiveness of the Adult Responses to Children’s Symptoms in children and adolescents with chronic pain. Journal of Pediatric Psychology. 41(3), 350-362. Noel, M. (2016). Commentary: Harnessing the fragility of pain memories to help children forget: A new avenue for pediatric psychology interventions? Journal of Pediatric Psychology. 41(2), 232-234. Palermo, T. M., Bromberg, M., Beals-Erickson, S. E., Law, E. F., *Durkin, L., Noel, M., & Chen, M. (2016). Development and initial feasibility testing of brief cognitive-behavioral therapy for insomnia in adolescents with comorbid conditions. Clinical Practice in Pediatric Psychology, 4(2), 214-226. Boerner, K.E., Noel, M., Birnie, K. A., Caes, L., Petter, M., & Chambers, C. T. (2016). Impact of threat level, task instruction and individual characteristics on cold pressor pain and fear among children and their parents. Pain Practice, 16(6), 657-668. Noel, M., Taddio, A., McMurtry, C. M., Chambers, C. T., Pillai Riddell, R., Shah, V., & HELPinKids&Adults Team. (2015). HELPinKids&Adults knowledge synthesis of the management of vaccination pain management and high levels of needle fear: Limitations of the evidence and recommendations for future research. Clinical Journal of Pain, 31(10 Suppl), S124-131. McMurtry, C.M., Noel, M., Taddio, A., Antony, M.M., Asmundson, G.J.G., Pillai Riddell, R., Chambers, C.T., Shah, V., & HELPinKids&Adults Team. (2015). Interventions for individuals with high levels of needle fear: Systematic review of randomized controlled trials and quasi-randomized controlled trials. Clinical Journal of Pain, 31(10 Suppl), S109-123. Law, E. F., Beals-Erickson, S. E., Noel, M., Claar, R., & Palermo, T. M. (2015). Pilot randomized controlled trial of internet-delivered cognitive-behavioral treatment for pediatric headache. Headache, 55(10), 1410-1425. Taddio, A., McMurtry, C.M., Shah, V., Yoon, E., Uleryk, E., Pillai Riddell, R., Lang, E., Chambers, C. T., Noel, M., MacDonald, N. E., & HELPinKids&Adults Team. (2015). Methodology for knowledge synthesis of the management of vaccination pain and needle fear. Clinical Journal of Pain, 31(10 Suppl), S12-19. McMurtry, C. M., Pillai Riddell, R., Taddio, A., Racine, N., Asmundson, G. J. G., Noel, M., Chambers, C. T., & Shah, V., & HELPinKids&Adults Team. (2015). Far from “just a poke”: Common painful needle procedures and the development of needle fear. Clinical Journal of Pain, 31(10 Suppl), S3-11. Taddio, A., Shah, V., McMurtry, C.M., MacDonald, N.E., Ipp, M., Pillai Riddell, R., Noel, M., Chambers, C.T., HELPinKids&Adults Team. (2015). Procedural and physical interventions for vaccine injections: Systematic review of randomized controlled trials and quasi-randomized controlled trials. Clinical Journal of Pain, 31(10 Suppl), S20-37. Pillai Riddell, R., Taddio, A., McMurtry, C.M., Chambers, C.T., Shah, V., Noel, M., & HELPinKIDS&Adults Team. (2015). Psychological Interventions for Vaccine Injections in Young Children 0 to 3 Years: Systematic Review of Randomized Controlled Trials and Quasi-Randomized Controlled Trials. Clinical Journal of Pain, 31(10 Suppl), S64-71. Birnie, K.A., Chambers, C.T., Taddio, A., McMurtry, C.M., Noel, M., Pillai Riddell, R., Shah, V., HELPinKids&Adults Team (2015). Psychological interventions for vaccine injections in children and adolescents: Systematic review of randomized and quasi-randomized controlled trials. Clinical Journal of Pain, 31(10 Suppl), S72-89. Boerner, K.E., Birnie, K.A., Chambers, C.T., Taddio, A., McMurtry, C.M., Noel, M., Shah, V., Pillai Riddell, R., & HELPinKIDS&Adults Team (2015). Simple psychological interventions for reducing pain from common needle procedures in adults: Systematic review of randomized and quasi-randomized controlled trials. Clinical Journal of Pain, 31(10 Suppl), S90-98. Shah, V., Taddio, A., McMurtry, M., Halperin, S.A., Noel, M., Pillai Riddell, R., Chambers, C.T., & HELPinKids&Adults Team. (2015). Pharmacological and combined interventions to reduce vaccine injection pain in children and adults: Systematic review and meta-analysis. Clinical Journal of Pain, 31(10 Suppl), S38-63. Pillai Riddell, R., Taddio, A., McMurtry, C.M., Shah, V., Noel, M., Chambers, C.T., & HELPinKids&Adults Team (2015). Process interventions for vaccine injections: Systematic review of randomized controlled trials and quasi-randomized controlled trials. Clinical Journal of Pain, 31(10 Suppl), S99-108. Taddio, A., McMurtry, C.M., Shah, V., Pillai Riddell, R., Chambers, C.T., Noel, M., MacDonald, N.E., Rogers, J., Bucci, L.M., Mousmanis, P., Lang, E., Halperin, S.A., Bowles, S., Halpert, C., Ipp, M., Asmundson, G.J., Rieder, M.J., Robson, L., Uleryk, E., Antony, M.M., Dubey, V., Hanrahan, A., Lockett, D., Scott, J., Votta Bleeker, E., & HELPinKids&Adults Team (2015). Reducing pain during vaccination injections: Clinical practice guideline. Canadian Medical Association Journal, 187(13), 975-982. Noel, M., Palermo, T. M., Chambers, C. T., Taddio, A., Hermann, C. (2015). To remember is not to forget: A reply to Moore and Henderson. PAIN, 156(6), 1173-1174. Noel, M., Rabbitts, J. A., Tai, G., & Palermo, T. M. (2015). Remembering pain after surgery: A longitudinal examination of the role of pain catastrophizing in children’s and parents’ recall. PAIN, 156(5), 800-808. (A commentary about this paper titled Parents- to help or hinder pain memories in children by L. E. Simons and C. B. Sieberg was published in this issue). Noel, M., Boerner, K. E., Birnie, K. A., Caes, L., Parker, J. A., Chambers, C. T., Fernandez, C. V., Lee, K. (2015). Acceptability by parents and children of deception in pediatric research. Journal of Developmental and Behavioral Pediatrics, 36(2), 75-85. Noel, M., Palermo, T. M., Chambers, C. T., Taddio, A., Hermann, C. (2015). Remembering the pain of childhood: Applying a developmental perspective to the study of pain memories. PAIN, 156(1), 31-34. (A letter to the editor based on this work was published by D. Moore and E. Henderson titled Applying a developmental perspective to the study of pain, 2015; Epub ahead of print). Noel, M., Palermo, T. M., Essner, B., Zhou, C., Levy, R. L., Langer, S., Sherman, A., & Walker, L. S. (2015). A developmental analysis of the factorial validity of the parent-report version of the Adult Responses to Children’s Symptoms (ARCS) in children versus adolescents with chronic pain or pain-related chronic illness. Journal of Pain, 16(1), 31-41. Law, E. F., Bromberg, M., H., Noel, M., Groenewald, N., Murphy, L. K., & Palermo, T. M. (2015). Alcohol and tobacco use in youth with and without chronic pain. Journal of Pediatric Psychology, 40(5), 509-516. Essner, B., Noel, M., Myrvik, M., & Palermo, T.M. (2015). Examination of the factor structure of the Adolescent Sleep-Wake Scale (ASWS). Behavioural Sleep Medicine, 13(4), 296-307. Birnie K. A., Noel, M., Parker, J. A., Chambers, C. T., Uman, L. S., & Kisely, S. R., & McGrath, P. J. (2014). Systematic review and meta-analysis of distraction and hypnosis for needle-related pain and distress in children and adolescents. Journal of Pediatric Psychology, 39(8), 783-808. Law, E. F., Fisher, E., Fales, J., Noel, M., Eccleston, C. (2014). Systematic review and meta-analysis of parent and family-based interventions for children and adolescents with chronic medical conditions. Journal of Pediatric Psychology, 39(8), 866-886. Uman, L. U., Birnie, K. M., Noel, M., Parker, J. A., Chambers, C. T., McGrath, P. J., & Kisely, S. (2013). Psychological interventions for needle-related procedural pain and distress in children and adolescents (Review Update). Cochrane Database of Systematic Reviews, 10, CD005179. Parkerson, H. A., Noel, M., Pagé, M. G., Fuss, S., Katz, J., & Asmundson, G. J. G. (2013). Factorial Validity of the English-Language Version of the Pain Catastrophizing Scale – Child Version. Journal of Pain, 14(11), 1383-1389. Noel, M., Chambers, C. T., McGrath, P. J., Klein, R. M., & Stewart, S. H. (2012). The influence of children’s pain memories on subsequent pain experience. PAIN, 153(8), 1563-1572. (A commentary about this paper titled Remember, remember.... a child’s pain experience by C. Liossi and M. Fitzgerald was published in this issue; Society of Pediatric Psychology (Division 54), American Psychological Association, Student Research Award; 2012 CIHR Brain Star Award). Noel, M., Chambers, C. T., McGrath, P. J., Klein, R. M., & Stewart, S. H. (2012). The role of state anxiety in children’s memories for pain. Journal of Pediatric Psychology, 37(5), 567-579. (A commentary about this paper by J. Katz was published in: F1000.com/715547801#eval791052901). Noel, M., Chambers, C. T., Petter, M., McGrath, P. J., Klein, R. M., & Stewart, S. H. (2012). Pain is not over when the needle ends: A review and preliminary model of acute pain memory development in childhood. Pain Management, 2(5), 487-497. Noel, M., Petter, M., Parker, J. A., & Chambers, C. T. (2012). Cognitive behavioural therapy for pediatric chronic pain: The problem, research, and practice. Journal of Cognitive Psychotherapy, 26(2), 143-156. Birnie, K., Petter, M., Boerner, K., Noel, M., & Chambers, C. T. (2012). Contemporary use of the cold pressor task in pediatric pain research: A systematic review of methods. The Journal of Pain, 13(9), 817-826. Asmundson, G. J. G., Parkerson, H. A., Petter, M., & Noel, M. (2012). What is the role of fear and escape/avoidance in chronic pain? Models, structural analysis, and future directions. Pain Management, 2(3), 295-303. Noel, M., Taylor, T. L., Quinlan, C. K., & Stewart, S. H. (2012). The impact of attention style on directed forgetting among high anxiety sensitive individuals. Cognitive Therapy and Research, 36(4), 375-389. Peterson, C., & Noel, M. (2012). 'I was just screeching! ': Comparing child and parent derived measures of distress. Stress and Health, 28(4), 279-288. McMurtry, C. M., Noel, M., Chambers, C. T., & McGrath, P.J. (2011). Children’s fear during procedural pain: Preliminary investigation of the Children’s Fear Scale. Health Psychology, 30(6), 780-788. Birnie, K.A., Noel, M., Chambers, C. T., von Baeyer, C.L., & Fernandez, C. (2011). The cold pressor task: Is it an ethically acceptable pain research method in children? Journal of Pediatric Psychology, 36(10), 1071-1081. Peterson, C., Warren, K. L., Nguyen, D. T., & Noel, M. (2011). Infantile amnesia and gender: Does the way we measure it matter? Procedia Social and Behavioral Sciences, 9, 1767–1771. Noel, M. & Birnie, K. A. (2010). Ethical challenges in pediatric pain research. Pediatric Pain Letter, 12(2), 1-5. Noel, M., McMurtry, C. M., Chambers, C. T., & McGrath, P. J. (2010). Children’s memory for painful procedures: The relationship of pain intensity, anxiety, and adult behaviors to subsequent recall. Journal of Pediatric Psychology, 35(6), 626-636. Noel, M., O’Connor, R. M., Boudreau, B., Mushquash, C. J., Comeau, N. M., Stevens, D. & Stewart, S.H. (2010). The Rutgers Alcohol Problem Index (RAPI): A comparison of cut-points in First Nations Mi’kmaq and non-aboriginal adolescents in rural Nova Scotia. International Journal of Mental Health and Addiction, 8(2), 336- 350. Noel, M., Peterson, C., & Jesso, B. (2008). The relationship of parenting stress and child temperament to language development among economically disadvantaged preschoolers. Journal of Child Language, 35(4), 823-843. Peterson, C., Noel, M., Kippenhuck, L., Harmundal, L., & Vincent, C. (2008). Early memories of children and adults: Implications for infantile amnesia. Cognitive Sciences, 4(2), 65-90. We're always excited to connect about our research and talk about opportunities for training, collaboration, and outreach. Get in touch using the form below and we'll get back to you as soon as we can.